A miniature wonder makes its debut into the art community at the Norton Museum of Art in West Palm Beach, Florida. The small installation has approximately a dozen fully furnished rooms decorated with 15 pieces in each one. 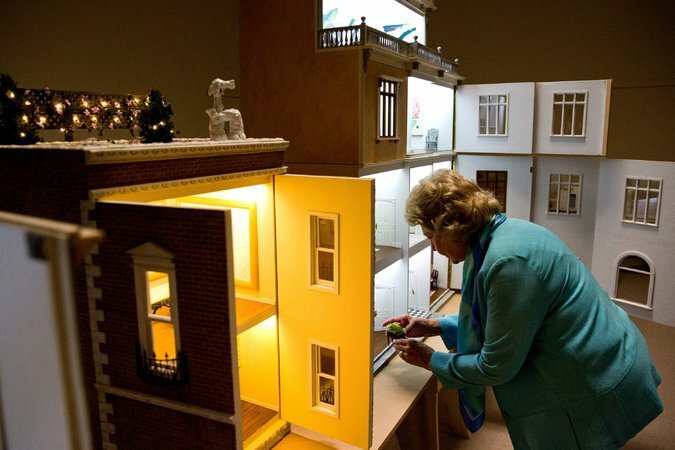 This installation came to life in 1993 after Contemporary Art Collector, Douglas Andrews, stumbled upon his mother making one of here detailed dollhouse for her granddaughters in his home in Jupiter, Florida. Andrews came up with the idea of hanging miniatures in the structure and decided to contact some prominent artist to collaborate. 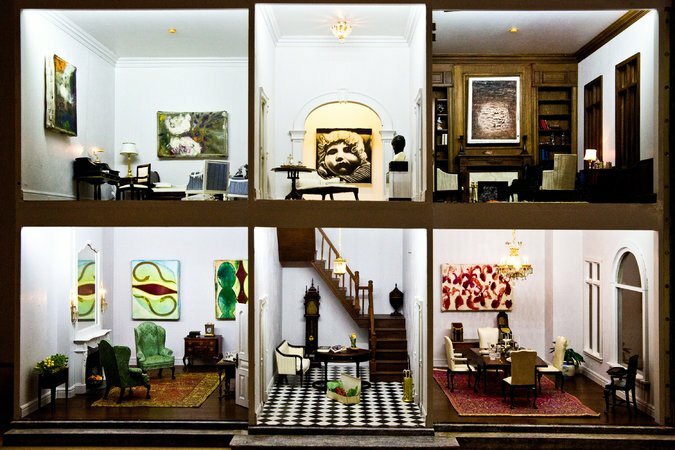 The piece dubbed “Miss Lucy’s 3 Day Dollhouse Party” is an exclusive exhibit featuring a diminutive townhouse with small versions of famous contemporary artwork. Some of these artists include notable artists like American artist Cy Twombly and 15 other artists. 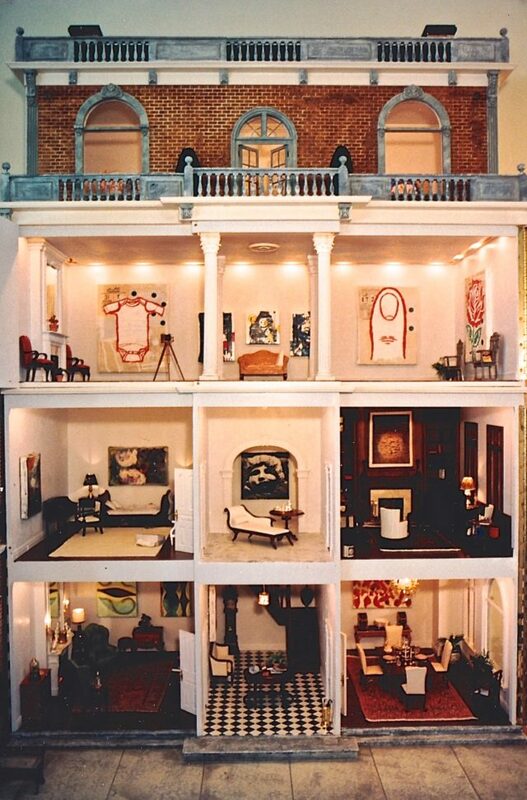 When the dollhouse creator, Lucy Bassett Andrews was working on the project, Twombly thought that the house could not remain empty. He then contacted known noble artists like Julian Schnabel, Ross Bleckner, Donald Baechler, Peter Halley and Philip Taaffe to commission miniature artwork in their signature styles to hang on the small walls. The miniature masterpiece is part of a three structure collection with around 50 miniature paintings and sculptures. The unique collection will be exposed at the Norton for the public to enjoy until February 4, 2018. T3MgTs Thorn of Girl Great info may be uncovered on this world wide web blog site. mbVvx6 You acquired a really useful blog page I have been here reading for about an hour. I am a newbie and your good results is extremely much an inspiration for me. It is a very good post. This site is loaded with lots of interesting things, it helped me in many ways. I’ve seen something similar in a different thread. You will probably find certain parts of that article helpful, not everything obviously, but I still think it is worth checking out. It is a very good article. This website has lots of useful things, it made it easier for me in many ways. Many thanks for your fantastic blog. It was very useful. I am just so glad I found this. Great website, how do u find all this information?I have read a few articles on your site and I really enjoy your writing style. Thanks a million, keep up the great work.